Recently, our city’s Newspaper of Record (TM) reported that women use the bike sharing service Citibike far less often than men do. According to the article, women account for one-third of all members (that is, people with a one-year pass to use the bikes at any time for up to 45 minutes per trip) and about a quarter of all trips. Assuming that we want more women on bikes, let’s see if the numbers can help of find a solution. First, let’s look at the two-fold issue revealed in the numbers above: not only are women a clear minority of riders (assuming that the statistics include two and only two genders), they also ride less than their male counterparts. Female Citibikers ride about 39% less than men. A little time on Eighth Avenue on a recent morning, watching the stream of Citi Bike riders heading north past Pennsylvania Station and toward Times Square, was instructive. Man after man pedaled by, some in suits, others in jeans. From time to time, a woman on a Citi Bike rode by. Again, limited information, but I think we’re onto something here. The article adds that women Citibikers “often stick to less chaotic neighborhoods on the Lower East Side and in Brooklyn.” Perhaps the West Village also appeals to them. 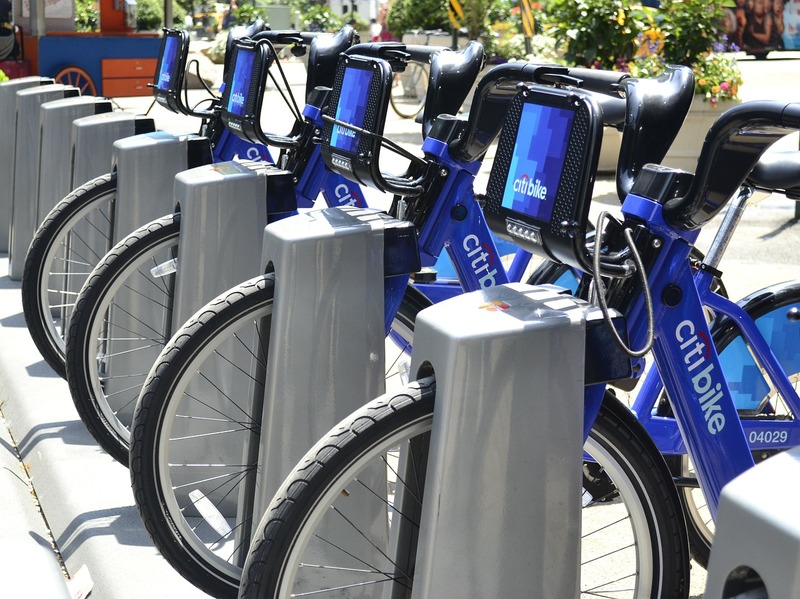 What other differences distinguish male and female Citibike members? Do men use the bikes for commuting while women use them for recreation or exercise? Similarly, where do the cyclists live? It wouldn’t surprise me, for instance, to learn that men from the suburbs (or non-Citibike neighborhoods in the city) join at a higher rate to enable easier subway-to-workplace commutes. Times of day when different genders use the bikes. The article mentions that women voice safety concerns more than men. If they rode at an even lower rate at night, that would underline those concerns. As a cyclist myself, I’d love to see as many people on Citibike as the system can handle. And then I’d like an even bigger system. Figuring out which women are forgoing the bikes and what Citibike can do to accommodate them will make those goals more possible. This entry was posted in Behind the Numbers, Data and tagged 14th street, bicycle, citibike, eighth avenue, new york times, pennsylvania station, subway, times square, west village on July 15, 2015 by Ben.